Blog Posts - Common Sense Events Inc.
Cocktails are sure to liven up any party! Whether you are having a wedding, anniversary party, or corporate party, cocktails will help you and your guests celebrate! One easy way to bring some fun to your party is by selecting a typical cocktail and giving it a custom name for your event. Another way to make your cocktail special for your event is by using a unique garnish. There are a few garnish ideas that we want to share with you! Use a lollipop garnish for your fruity or sweet cocktail. These are great for a ladies night, birthday party, or bridal shower. They add a sweet touch to any drink, even non-alcoholic drinks! If you are having a party with underage folks, make a fun mocktail and top it off with a lollipop! Clothespins can be used to make a garnish for a few types of occasions. Two occasions that would be well suited for these are baby showers or a rustic party. Different color clothespins can be used with different items to make a garnish that fits your event! Flowers can make a beautiful garnish.. They will give your cocktails a fresh feel regardless of what is in them. Use various types of florals and greenery depending on your event or the season. For spring, use lavender. For a winter event, use something with pine or mint. Bridal showers, girl’s nights, and galentine’s parties are all events where you can pull out all the fluff and sparkle you want! Cotton candy will make your cocktails feel flirty and feminine. The great thing is that you can find different color cotton candy to match or provide contrast with your cocktail. One of the best parts of planning an event is working with the theme that goes with it! Utilizing your garnishes for decor is a great way to make your vision come to life. One easy way to accomplish this is by using shapes that enhance your occasion. If it’s an engagement party, put engagement rings on a toothpick. An easy way to make edible shapes is by using a cookie cutter to cut fruit. You can have so much fun garnishing your drinks! Our team is super passionate about cocktails and would love to serve at your bar. Please don’t hesitate to reach out with any questions about the drink menu for your next event! We are so excited to be preparing our team for wedding season! We know so many of you are helping your loved ones plan for their wedding. You are going on walk throughs with them, cake tasting with them, assisting them while they look for their perfect dress, and planning their many celebrations. One of the biggest celebrations for a bride is the bridal shower. As a close friend or family member, you are probably getting ready for the bridal shower. We wanted to give you tasty ideas for a bridal shower brunch! A waffle station is perfect for any morning occasion. Having a few different waffle makers will allow your guests to get their food in a timely manner. Some toppings to include at your station are chocolate syrup, regular syrup, peanut butter, nutella, bananas, strawberries, sprinkles, and to top it off, whip cream! Your guests will enjoy a donut tower! When selecting what you will be serving, opt for smaller donuts. Over the years, we have found that women have a harder time committing to one large tasty treat, but will eat several mini treats. A guest can choose to eat many little donuts or just one to satisfy her sweet craving. Yogurt is a healthier option for your brunch and is great for your guests that don’t want to eat as much sugar. Being intentional about how you serve the bowls can add to the decor of your event. If you are having an upscale bridal shower, put your yogurt in a crystal bowl or champagne glass. If you are having a rustic shower, use mason jars for your yogurt. You can either prepare the bowls ahead of time or you can put out your ingredients and allow your guests to build a bowl with the elements they enjoy. We hope these tasty suggestions helped you as you are planning the bridal shower. You can totally customize some of these suggestions to be more personal for the bride. Let us know if you have any questions about ideas for the bridal shower. Our team would love to be of assistance at your bridal shower brunch! Your wedding is such a special day to you, and when the time comes to tie the eternal knot, it’s important to have the right people by your side supporting you and sharing this experience with you. Whether you are the bride or the groom, you want to make sure whoever you choose to be in your bridal party is someone that will encourage you, support you, and remember all of the little details so you don’t have to fuss or stress on your big day. Not only do they need to support you, but you also need to support and appreciate them. Remember that whoever you ask is going to have a lot of work to do for your wedding. The maid of honor and best man will plan the bachelor/bachelorette party, guard the rings, help organize so many important details, and most of all be your number one support. If you have already chosen who those special people are in your life, then you want to invite them in a way that will flatter them, surprise them, and get them excited about saying “yes.” Most importantly, you want to invite them in their own language. We all have a love language that we speak with all of our friends, not just in our romantic relationship. If you have a successful friendship with someone that will be there on your wedding day, then the odds are, they are already someone who you know well. If you know their love language, then ask them to be your bridesmaid/groomsmen in a way that will make them feel appreciated and loved. If you don’t know their love language- I encourage you to find out. It will help you along the way in your relationship to make sure they feel valued in the friendship and it will help things run smoothly on your wedding day. ​If your friend is someone who is always encouraging you, or is asking for encouragement, then it may be that their love language is words of affirmation. If that’s the case, then you will make them feel special by telling them just how much they mean to you. By replicating the way you were asked to wed, you can ask your bridesmaid in a unique and memorable way by “popping” the question. Place a long, heartfelt note in a balloon, blow up the balloon, place it in a box, and when they open the box, the balloon will float out. After they pop the balloon, they will read the note, and give you and emphatic “YES!” If you want to make it a little more interesting, you can place confetti in the balloon, or even provide a little speech affirming even more how much they mean to you. The key is to let your words be abundant and generous in the way you ask this person. ​For someone whose love language is gifts, you will want to ask them to be a part of your bridal party in a tangible way. One way that you can flatter this friend is to put a gift box together for them. Everyone loves receiving gifts, but this particular friend is someone who feels extra loved and appreciated by the gifts more than words or actions. After all is said and done, this bridesmaid/groomsman may end up spending a lot of money on you for your day since they are gift-givers and they will support you tangibly. To start out this relationship letting them know they are appreciated, put a gift box together full of things they will love. If she is a wino, then give her a customized bottle of Rose and some wine glasses. If he is a coffee lover, given him a fresh bag of beans and a gift card to his favorite coffee shop. The more you can fill it with creative, cute gifts custom for them- the better. It doesn’t have to cost a fortune, it just has to be tangible and let them know you are thinking of them. Personalize it with a simple note asking them to be by your side. If your friend’s love language is acts of service, then it won’t require any money, but it will require some creativity on your part. Someone whose love language is acts of service will feel loved and appreciated when someone does something for them. Acts of service is anything you do for them that may not be very fun, but it will make them feel supported and appreciated. If they are a mother, you can offer to come help them clean their house or to babysit and when the job is done, pop the question. If he is a foodie, you can cook a nice meal for him and ask him at dinner. If they are working on a project, you can offer to help them complete it. Find a way to cater to them, and pair that act of service with a creative way to ask them to be in your bridal party such as a card or a spa day, so they can rest while you help them complete their chores. ​If your friend is someone who feels loved and appreciated when you spend time together, then it may be that their love language is quality time. This person doesn’t want you to serve them, buy things for them or even compliment them, they simply want you to be with them. It may not sound like much, but to them it’s the most special thing you can do for them. To ask this person to be your bridesmaid or groomsman, take them out to do something they enjoy, just the two of you. Take them to dinner, drinks, or on a hike. The key is to have an experience, where you and them can spend some quality one-on-one time. When the night is through, pick up the tab, and ask them with a smile to be your bridesmaid or groomsmen. The key is to pay attention to them fully, not be distracted by your phone, or anyone else. Make them feel special and loved by being with them and giving them your full attention. This whole evening will be the invitation, and to someone who loves quality time, they won’t be able to say no! ​If this is your friends top love language, but it is not yours, it may be a little tricky for you. But don’t worry- it’s actually much more simple than you think. This friend whose love language is physical touch loves hugs, massages, and they love to sit close to you. When you ask this person, use any creative variation mentioned above, such as giving them a gift box, or by gifting them a massage… but when you do ask the this question, make sure you touch their leg, sit close to them, and hug them when they say “Yes.” Whatever you do- don’t ask this person over the phone or text, be close by their side. Hopefully, this blog gave you some inspiration to ask your wedding party. We hope your bridesmaids and groomsmen will feel extra special when you ask them! The Holiday Season is dreamy and romantic! It is no surprise that couples are getting engaged! With so many couples looking forward to their special day, we wanted to share some tips for planning a wedding! Setting a budget for the wedding is the first thing to do! The budget will help you decide how much you can spend and what you want to spend it on. Below is a percentage breakdown of a wedding budget. Creating a binder and checklist for wedding planning is a great way to start the process! The binder will give you one place to store items like signed forms, receipts, orders, and other various documents. A checklist is great because it allows brides to see how their dream wedding can become reality. It is a practical way to see what is needed for the big day. Each time you complete a task, you can cross it off, and are one step closer to marrying the love of your life! Making an email account will come in handy for your planning. This provides one place to communicate via email for all things wedding! Emails for the wedding will not get lost in the midst of emails from work, school, friends, or family. Our staff recommends a Gmail account. There are added bonuses to Gmail like Google Docs, Sheets, Forms, and many other tools to help organize the details of your big day! Start the guest list early! Having a general idea of how many people you want to invite will help you choose the venue! If you want to invite 150 guests and a venue only accommodates 50 people, you know that venue is not right for your wedding because you already created your guest list and know how many people you want at your big day! Once a date has been picked, secure the venue. This will help finalize wedding details. Knowing the venue will provide a guest count limit. Each venue has a maximum of how many people it can accommodate, which helps to finalize the guest list. Venues typically have a preferred vendor list. Brides can see these vendors and decide who they want for coordination, catering, rentals, a DJ, decor, etc. Picking a color scheme early will be helpful when making decisions for the rest of the wedding. The color scheme will come in handy when designing the wedding website, choosing invitations, picking florals, determining the wedding party’s attire, selecting wedding decorations + rentals, etc. A wedding website is a great way for brides to communicate with their guests! On this website, make sure to include RSVP’s and the registry. You can also include food information, song requests, and even share fun information about the wedding party with your guests. If you are getting your hair or makeup done, it is recommended to do a trial run. Some artists will do a sample of hair and makeup so that they know exactly what you want. Plan an outing with your wedding party afterwards. This will give you a night away from planning the wedding and you can also see how your hair and makeup will last! A skilled photographer can capture the wedding day so that couples can look back on these images for the rest of their marriage! There are so many great memories in pictures. Whether it is family or close friends, let your photographer know which guests to focus on so that you have them in your photos. In addition to telling your photographer who to photograph, let them know if you want any special poses with your wedding party. Photographers know how to make your wedding party look great, but you need to let them know if there are some special images you want taken! ​This list of ideas is not exhaustive, but we know these tips been beneficial for couples getting married. We hope this list is helpful for you as you are planning your big day! Please let us know if you have any questions about planning your wedding! Winter is a season for engagements, weddings, and romance! One fear that brides often have is that their winter wedding will appear cold and gloomy to their guests. Although this can happen, there are many ways to make a wedding feel cozy and warm. 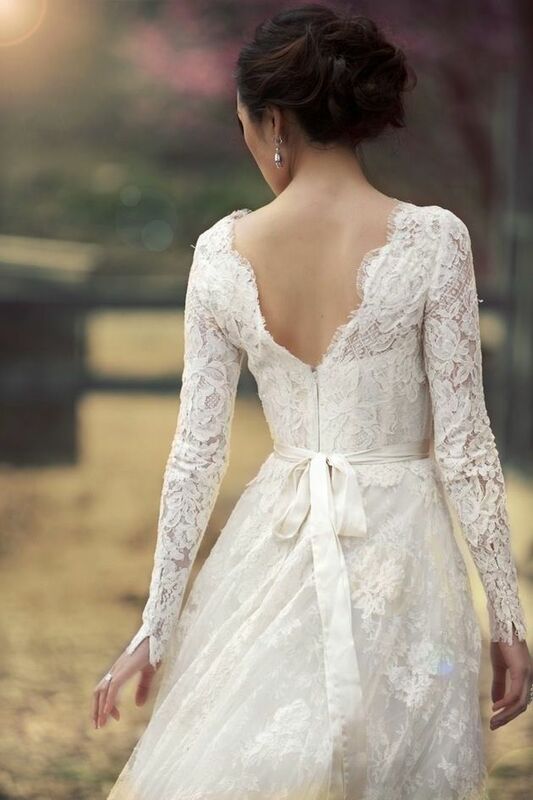 Choosing a wedding dress with long sleeves will make you look elegant and comfortable, allowing your guests to feel more comfortable. Long sleeve dresses for your bridesmaids will also do the same. Pick thick sleeves, lace sleeves, sheer sleeves. There are so many options to fit your style and preference. Another way to make your wedding more cozy is by using lights in the ceremony and reception. You can stream lights over the reception or even wrap lights around trees and other objects to make them shine. These lights give the wedding a dreamy feel. A hot cocoa bar is an awesome idea for the reception! This will give your guests something to sip and something to hold that will warm them up. Make sure to include mini marshmallows, cinnamon sticks, candy canes, flavored syrups, Bailey’s Irish Cream, and, of course, whipped cream. Your guests are sure to find something to make their hot cocoa unique! Make sure to use the phrase, “To have and hold in case you get cold” by your blankets. The blankets can be included in the reception or the ceremony. They are a festive wedding favor that your guests will actually use. Find blankets that coordinate with the wedding! Pinecones will give the reception a nice winter feel and and the candles will warm it up. We love the idea of fresh greenery for the scent it provides . The pinecones and candles will make your tables feel romantic! We hope this blog gave you some ideas for your winter wedding! Although, this blog was written for weddings, some of these ideas can be applied to any event. Here at Common Sense Events, we love winter and would be happy to serve at your wedding or any other holiday event!